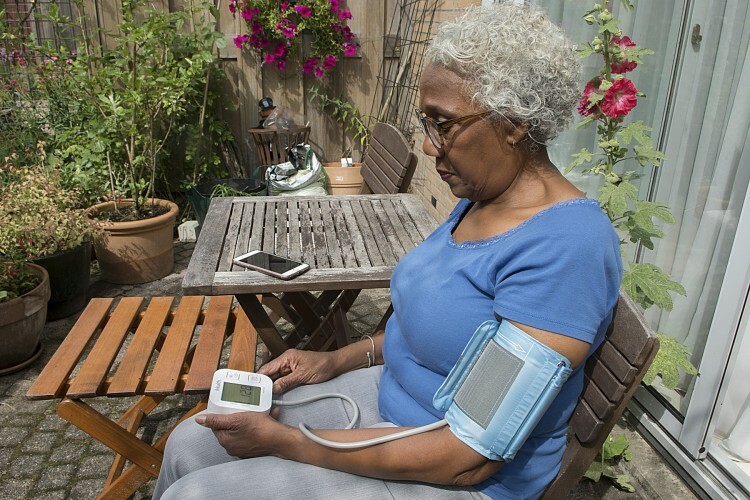 The initial results of the eHealth service HeartGuard are impressive, with 64% of resistant hypertension patients better able to manage their high blood pressure. Zilveren Kruis began paying for its clients’ use of this modern version of heart care in 2016. 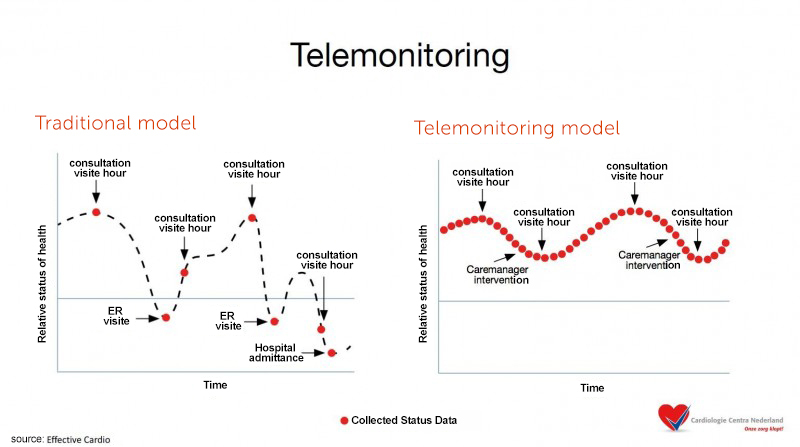 Patients take their measurements themselves at home, while their cardiologist monitors remotely. “HeartGuard helps us bring care into the home safely, which is a major consideration in our view,” says Olivier Gerrits, director of care procurement at Zilveren Kruis. HeartGuard is available to patients suffering from heart failure, cardiac arrhythmias, or resistant hypertension. Cardiologie Centra Nederland (CCN, Cardiology centers of the Netherlands) systematically monitors patients who are insured by Zilveren Kruis and are using HeartGuard, to determine the clinical effects as well as the effects on quality of life. The initial results are very promising. Patients who used HeartGuard showed an average decrease in blood pressure from 157/89 mmHg to 132/84 mmHg. 64% of patients with resistant hypertension have even been able to control their blood pressure. These are patients who have been referred by their family physician after various medicines failed to lower their blood pressure. The data collected over the past year also shows that patients’ have an increasing sense of self-management. “In the long run, this means fewer trips to the emergency room or family physician, as well as shorter waiting times in the hospital. eHealth is going to take on an ever more prominent role in Zilveren Kruis’s procurement policy,” says Gerrits. By using FocusCura’s cVitals app, patients can monitor and send measurements such as blood pressure and heart rate to their cardiologist. “For normal treatment, we often only see the patient once a year and have to define our policy based on that. Thanks to HeartGuard, patients can send us many more measurements and vitals from the comfort of their home. This gives a very in-depth understanding of our patient’s situation,” Tulevski explains. HeartGuard is a joint initiative by Zilveren Kruis, Cardiologie Centra Nederland, and the Dutch health care innovation company FocusCura. Since last year, Zilveren Kruis has covered the cost of HeartGuard for its policyholders if medically prescribed. This eHealth breakthrough in the Netherlands made international headlines in 2016. The dutch version of this article was released by our partner Zilveren Kruis.